"Jewish Historic Sites and Monuments in Bulgaria (part 1)" by Samuel D. Gruber, Dr. 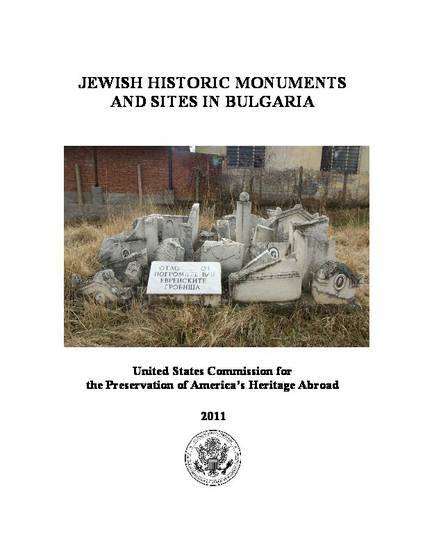 Selected Works of Samuel D. Gruber, Ph.D.
2011 published report of US Commission sponsored survey of Jewish synagogues, former synagogues and cemeteries in Bulgaria carried out in 2005 and 2006, with participation of members of the Jewish community of Bulgaria. The report PDF is in two parts. Contact Samuel D. Gruber, Ph.D.